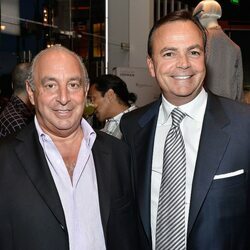 How much is Rick Caruso Worth? 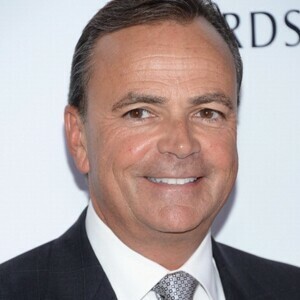 Rick Caruso net worth: Rick Caruso is an American businessman who has a net worth of $4 billion. 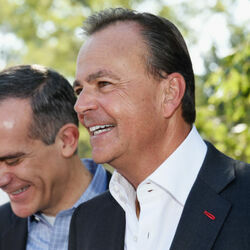 Rick Caruso has earned his net worth as founder and chief executive officer of Caruso Affiliated. The company designs and builds retail properties mainly throughout Southern California but has also recently expanded to Las Vegas. Before founding his company, Caruso was the youngest commissioner in the history of the Los Angeles Department of Water and Power. He was born in Los Angeles and is married to Tina Caruso. Together they have four children. 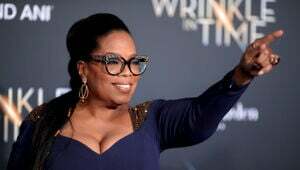 He attended the University of Southern California where he earned a bachelor's degree. 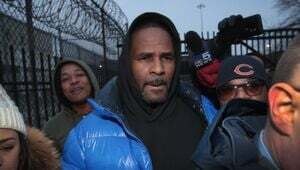 He also attended Pepperdine University where he earned a degree in law. Rick had a brief career as a real estate lawyer working for developers, but had a growing interest in getting into the real estate business himself. After leaving the field of law and entering real estate he spent the next 15 years developing industrial buildings in California and elsewhere. Some of his finest developments include; The Grove at Farmers Market located in Los Angeles and the Americana at Brand in Glendale. Caruso is currently developing a residential property called 8500 Burton and he has also acquired land in Dublin, California, to build his first retail development in the Northern California area. Caruso has won many design awards for his properties including the 2009 Gold Award from the International Council of Shopping Centers. In Las Vegas Caruso Affiliated has worked with Caesars for more than three years providing design, merchandising, leasing and strategy for the Linq, a one-of a kind retail and entertainment destination that stretches for a quarter mile and is comprised of 178,000 square feet of restaurants, bars and clubs, 37,000 square feet of retail and 70,000 square feet of entertainment venues. Caruso Affiliated consulted on the project, which transformed a back alley into a first-of-its kind, world-class retail destination on the Strip. Moving forward, Caruso will provide operational oversight and day-to-day management. Caruso is a current member of the Los Angeles Coliseum Commission. He is also involved in many community organizations such as Para Los Ninos, which is a community resource that provides education and child development services to neighborhoods in the Southern California area. 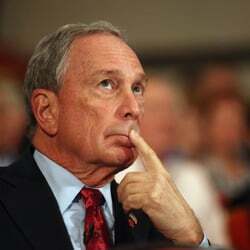 In addition he is a trustee of the University of Southern California School of Policy, Planning and Development.